An interview was conducted by COHA research fellow Julissa Delgado with Norma Ledezma Ortega, General Coordinator of Justicia para Nuestras Hijas (Justice for our Daughters). Justicia para Nuestras Hijas is an NGO based in Chihuahua, Mexico whose purpose is to seek justice for women who have fallen victim to femicide as well as the implementation of the Law for General Access of Women to a Life Free from Violence. Since 1993, many young women (between the ages of 12 – 22)1 have been victims of femicide—the murder of women solely based on their gender— in Juárez, Mexico, where many cases have remained unsolved over long periods of time. The rising number of femicide victims, who are characteristically tortured and sexually abused before their untimely death, has caused consternation among women’s groups and concerned members of the international community who collectively seek justice for these innocent victims. Due to increasing national and international pressure, the Mexican government passed the Law for General Access of Women to a Life Free from Violence in 2007, which was intended to prevent sanction and eradicate violence against women.2 Although most of the attention has been focused on Ciudad Juárez (the perceived epicenter for femicides in Mexico), the number of femicide cases has spread across the country and is rising at an alarming rate. 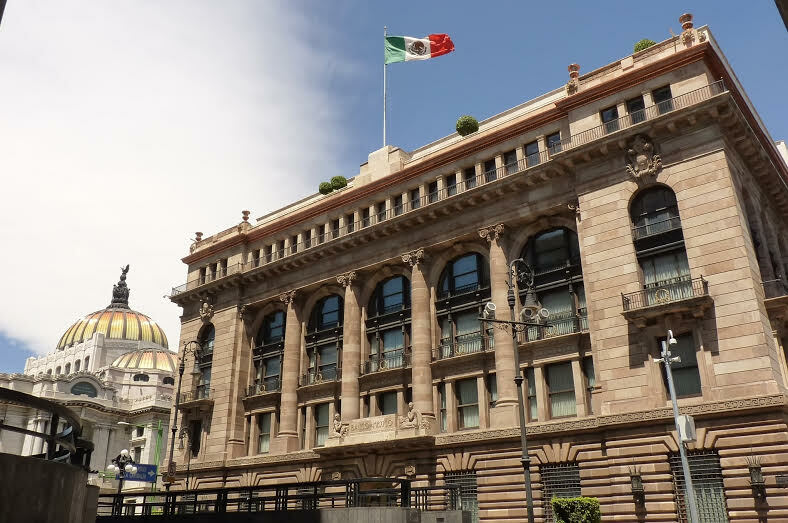 Their expansion in geographical range exemplifies the increasing magnitude of crimes against women in Mexican society in spite of the new legislation. The ongoing prevalence of femicide victims illustrates that the existing Mexican law has been largely ineffectual. As the U.S. Congress considers the possibility of passing the International Violence Against Women Act (IVAWA), which could potentially assist countries like Mexico in combating violence against women, it is key to examine the root causes that hinder the effectiveness of the Mexican legislation. The contributing factors to non-compliance of the Mexican legislation prove that it is imperative to increase police enforcement in order to decrease the existing impunity. This entails mobilizing additional economic resources to educate the local population of the dangerous spikes of violence, now being inflicted against women. The struggle to combat violence against women through legislation has been a long-standing issue worldwide. A particular example of such an undertaking under international law is the Convention on the Elimination of All Forms of Discrimination against Women (CEDAW), overseen by the Committee on the Elimination of Discrimination against Women. Adopted as a convention by the UN General Assembly in 1981, the CEDAW has been described as an international bill of rights for women. The convention (applicable only to countries that sign and ratify it) is composed of 30 articles, defining what constitutes discrimination against women and promoting an agenda for national action to abolish it. When CEDAW was originally ratified it did not directly tackle the issue of gendered violence towards women. It was not until 1992, when General Recommendation 19 was adopted, that CEDAW detailed actions toward combating such violence. General Recommendation 19 requires countries which ratified CEDAW to take appropriate measures to fight gender-based violence and calls for annual reports to the committee detailing the measures taken to do so. This initiative set the foundation for the 1993 UN General Assembly Declaration on Violence against Women (DEVAW), which unlike CEDAW, applies towards all members of the United Nations Assembly. The DEVAW defines what constitutes violence against women and challenged the previously held belief that such violence was a private domestic matter in which the state could not properly interfere. The adoption of CEDAW and the DEVAW set the stage for growing international recognition of a woman’s right to a life free of violence, encouraging individual countries to do the same. In 1994, under the Clinton administration, the U.S. Congress passed the Violence Against Women Act (VAWA), joining the fight against gender based violence towards women. VAWA, drafted by then Senator Joe Biden’s (D-DE) office, emerged as women groups and the international community demanded tangible recognition of a woman’s right to a life free of violence. The law created multiple remedies to solve the problems. Included among VAWA’s resolutions were the creation of community-based response programs which dealt with domestic violence, dating violence, stalking, and sexual assault. VAWA demonstrated Washington’s intention to criminalize violence against women on a federal level (much like the Law for General Access of Women to a Life Free from Violence). Increasing condemnation of violence against women by the UN and individual countries around the globe, like the U.S., augmented pressure on individual countries to condemn gender-based violence as well. The mounting number of femicides in Juárez, along with a growing critique of the Mexican government’s dramatic inability to address such crimes pressured the state to denounce these murders and take vigorous action. Ongoing demands for justice by NGOs and the UN led to the passage of the Law for General Access of Women to a Life Free from Violence (LGAMVLV). By adopting LGAMVLV, the Mexican government finally appeared to take a firm stand in opposition to violence against women. However, despite the enactment of the LGAMVLV four years ago, the number of femicides in the country has increased.3 Between January 2009 and June 2010 alone, the NGO Observatorio Ciudadano Nacional del Feminicidio (National Citizen Observatory of Femicide) recorded that 1,728 instances of femicides occurred in 18 states despite the passage of the law.4 The inability of the Mexican government to legitimately combat gender-based violence calls into question the authenticity and substance of the government’s action. Implementing anti-violence against women legislation, such as LGAMVLV, has been problematic for various reasons. The report titled In-depth study on all forms of violence against women, issued by the UN Secretary-General, highlights that even under such international initiatives; violence against women will not be eradicated without intense political will and a higher level of commitment to such obligations.5 One of the most significant reasons for LGAMVLV’s ineffectiveness is the inability of law enforcement officials to apply the legislation. Ortega, in reference to LGAMVLV, states that “The law is there but there is no one to put it in practice […] cops are not convinced that they have to apply the law [and] for that reason is why the law is ineffective.” The article, International Violence Against Women: U.S. Response and Policy Issues released by the Congressional Research Service, discusses, “national governments may pass laws that support anti-VAW [Violence Against Women] policies, but ineffective legal, political, or law enforcement infrastructures may hinder their ability to implement and enforce laws and provide the necessary support services to be effective.”6 The lack of commitment on behalf of law enforcement to effectively implement the law significantly inhibits the ability of LGAMVLV to operate. The In-depth study on all forms of violence against women states that “State inaction with regard to the proper functioning of the criminal justice system has had particularly corrosive effects on society as impunity for acts of violence against women encourages further violence and reinforces women’s subordination.”7 In a May 2010 report, the United Nations International Covenant on Civil and Political Rights noted with concern the ongoing prevalence of violence against women in Mexico despite the passage of LGAMVLV.8 The ongoing indifference of the Mexican government regarding the unending violence towards Mexican women has allowed such crimes to continue to occur and go unpunished. Another issue that inevitably impedes the success of LGAMVLV are the insufficient funds intended for programs that combat violence against women. An Office on Violence Against Women (OVAW) focus group—used to assemble input from both individuals and organizations associated in sexually based violence work–identified both a lack of resources as well as intrinsic problems within the justice system’s response as existing gaps in violence against women legislation.9 Augmenting funds, particularly in order to educate police officers, prosecutors and judges, would improve the effectiveness of LGAMVLV. The significant improvements in combating violence against women through VAWA’s Arrest Programs would not have been possible without the personnel, training and technical aid funded through the grant program created by VAWA.13 According to an article from the Mexico City daily El Universal, the National Fund for Gender Alertness, a system under the jurisdiction of the Ministry of the Interior, has yet to be put in place and has not received its designated 15 million pesos in funds.14 Without a doubt, it is imperative for both the Violence Against Women Act and LGAMVLV to receive adequate funding in order to fulfill their respective potential legislative capacities. Stolz analysis finds that “much federal criminal justice legislation, has been introduced or enacted primarily in response to public outcries of concern about a specific crime problem and are not in reaction to an effective interest group’s tireless lobbying.”23 By passing VAWA the U.S. Congress informed the public that such violent behavior towards women would not be tolerated. The article, Congress, Symbolic Politics and the Evolution of 1994, “Violence Against Women Act,” establishes that criminal justice legislation, such as VAWA, perform an educative function for the offender and the law-abiding citizen by establishing the line between what is morally right and what is morally wrong behavior. Ortega, in regards to Mexico, states that “[The government] has not put enough interest in preparing its people and sanctioning its people that do not obey the law.” Although notable for its educative function, anti-violence against women legislation should not end there. As the United States Congress considers investing time and foreign aid in passing the IVAWA, representatives should really consider the realistic impact it would have abroad. Among its many remedies, IVAWA would provide the Secretary of State and the USAID Administrator with the authority to provide assistance to foreign countries for program activities intended to reduce international violence against women. Speaking on the IVAWA in the Senate Foreign Relations Committee, U.S. Senator John Kerry stated, “This historic vote sends a powerful message to the world that the United States stands in opposition to violence against women and girls, anywhere and everywhere it occurs.”24 However, Ortega believes otherwise. The General Coordinator of Justicia Para Nuestras Hijas stated that, “every promising action to resolve and eradicate violence against women…finally concludes in a bunch of papers and propositions, stories and events, but there are no concrete beneficial actions that are useful to the cases or to women in particular.” Although a political message might have an impact, it is important to address legislation already in place and to enforce justice into most serious manner.